I’ve been on the hunt for the perfect black booties for forever it seems and I finally found the perfect pair. 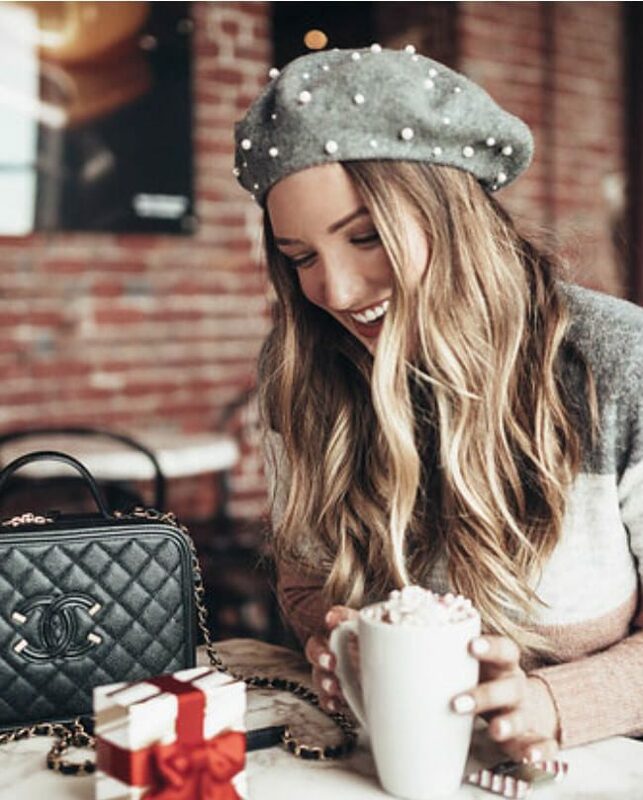 On a lazy Sunday afternoon I found myself perusing Pinterest (such a great place to discover new fashion!) and found the Holy Grail Rag & Bone booties. I like that these Rag & Bone booties have a substantial heel without being too high to walk in and also sport a worn-in leather look. I ordered them online from Nordstrom and then opted for in-store pickup (because my excitement just could not wait for 2-day shipping). 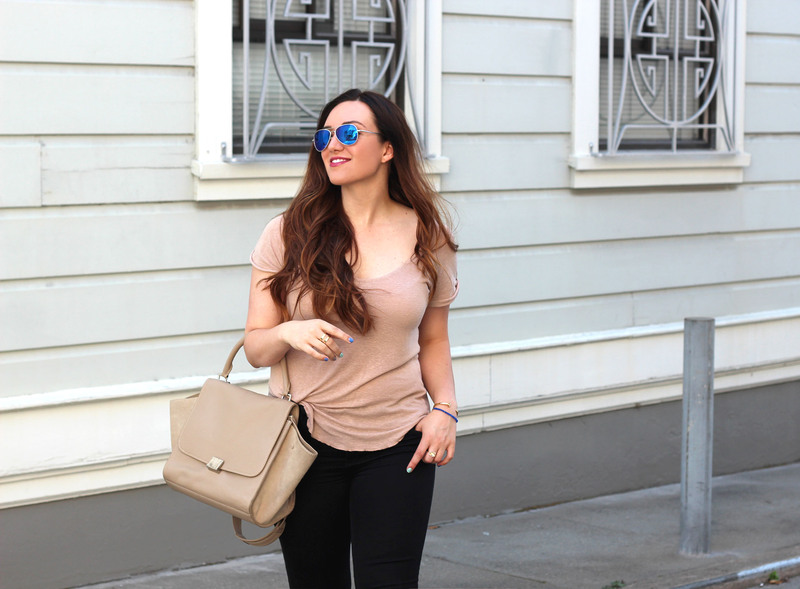 I took my Rag & Bone booties for a spin in a simple outfit–something relaxed but with a touch of glam via striking sunglasses and a statement bag. I love the idea of wearing these boots with a dark or black denim, it gives an illusion of be being much taller than I actually am–ha! 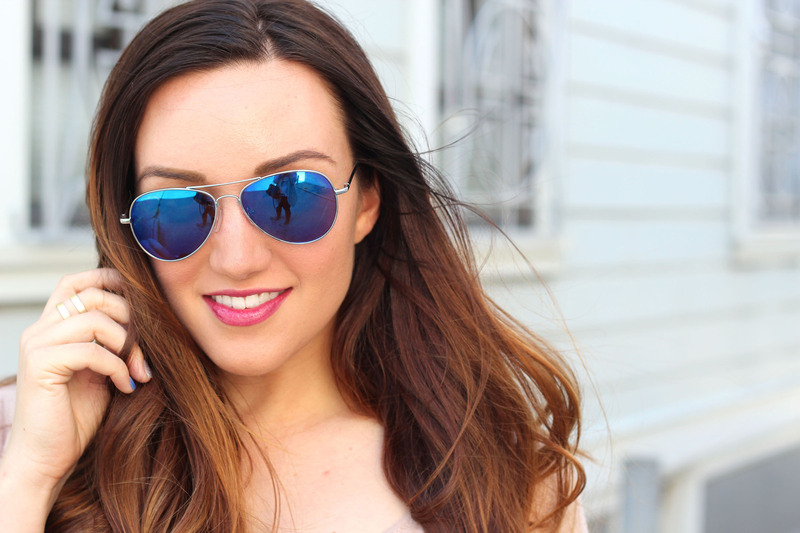 I’m not one to spend on sunglasses because I’ll inevitably lose them / scratch them / break them… so I like alternatives like these aviators from Inspired Shades where I can get the look at a great price. 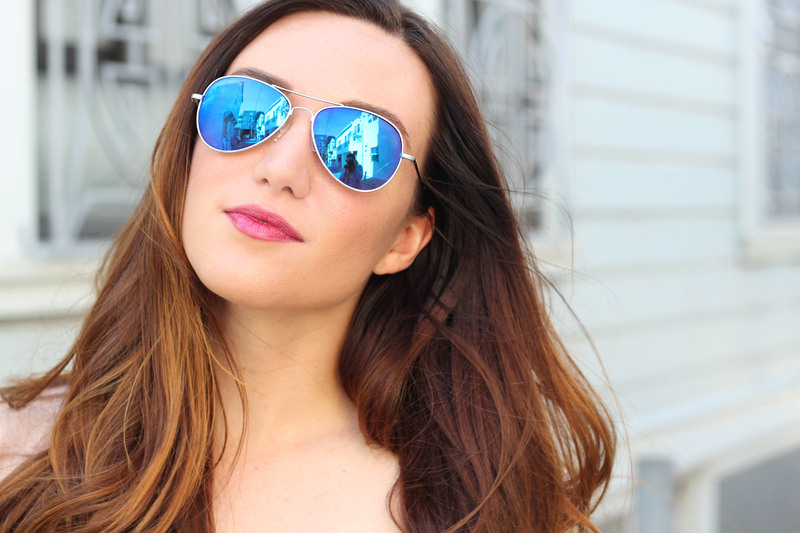 These blue mirrored aviators are so bold in color, I can’t stop wearing them! What are your favorite booties and summer sunglasses trends? 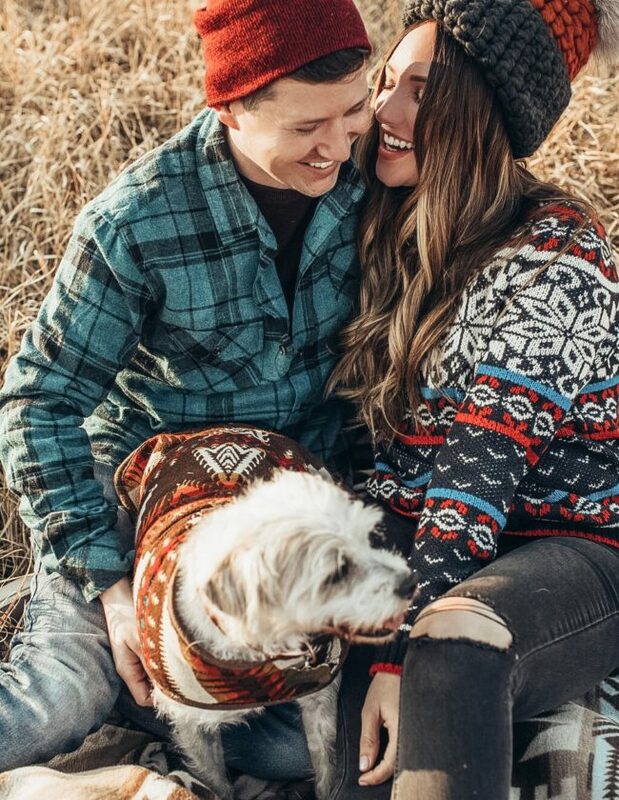 Your hair is KILLING it! Also, killer booties. I want the Harrow ones in a major way! 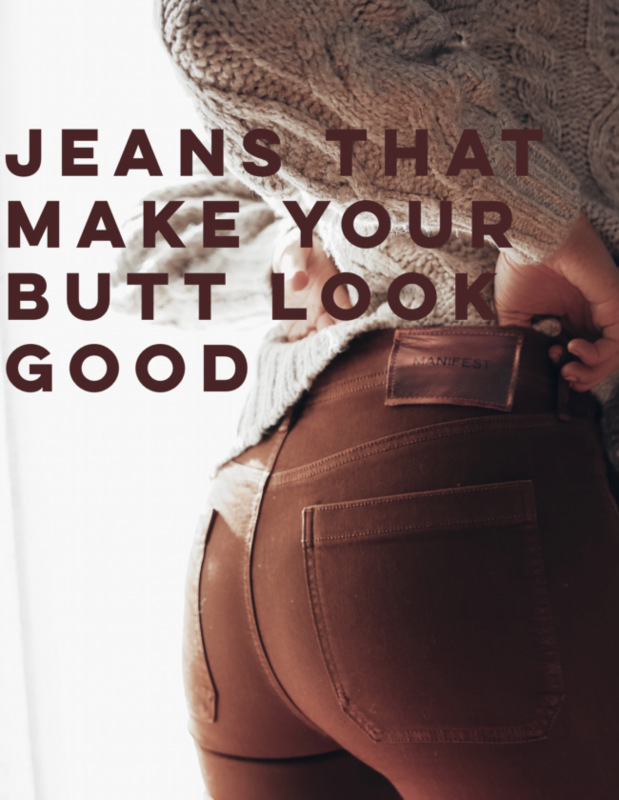 Love me some Rag & Bone! 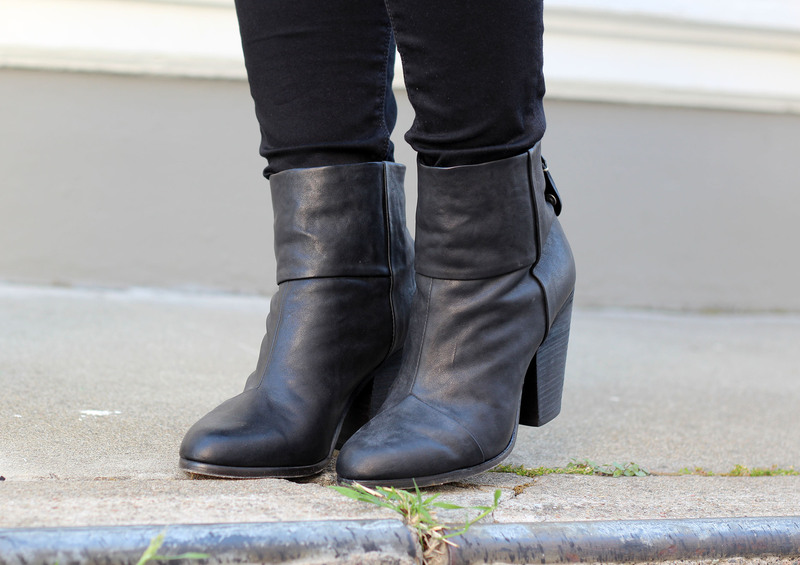 I just talked about these booties on my blog as well! They are amazing! !